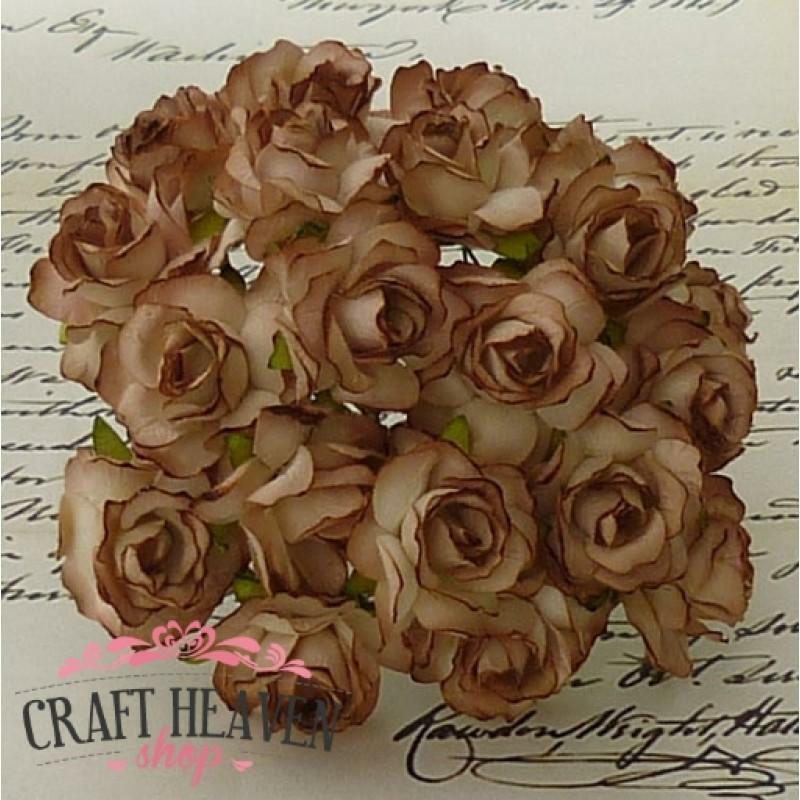 Brown wild roses handmade from fine quality mulberry paper. Each rose measures 30mm across the flower head and has a long, thin, bendy green wire stem that is 8-9 cm long. This item is sold in packets of 5 handmade roses.